PRAGUE (15 February 2017) – Prologis, Inc., the global leader in logistics real estate, today announced full-year 2016 activity for its business in Central and Eastern Europe (CEE). The company leased 1.8 million square metres in Central and Eastern Europe. New lease agreements accounted for 700,000 square metres and lease renewals for 900,000 square metres, with the balance short-term agreements. The CEE portfolio occupancy rate was a record 96.4 percent. At year-end, Prologis’ CEE portfolio was 4.5 million square metres. In 2016, Prologis invested in all four of the CEE countries in which it operates. The company began construction of 18 buildings totalling 331,000 square metres—70 percent of that construction was build-to-suits and 30 percent was speculative development. New development starts increased over 2015 by some 65 percent. The company continued to pursue its strategy of selective development in key markets characterized by low vacancies. In 2016, Prologis delivered 14 buildings totalling 251,000 square metres; among those, eight buildings were started and completed in the same year. 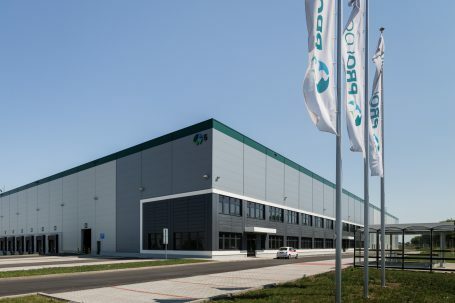 Prologis acquired M0 Central Business Park in Hungary, and two fully leased buildings totalling 31,400 square metres became a part of Prologis Park Budapest-Sziget. In addition, the company acquired three hectares of land in Prologis Park Prague D1 East, and 22.6 hectares in Prologis Park Bratislava. Prologis won two prestigious awards at the 2016 Eurobuild CEE Awards. The company was recognized in the following categories: “Warehouse Developer of the Year, CEE” and “Best Warehouse Manager of the Year, Poland.” The latter award was given to Marta Kostyk, a Prologis property manager based in Lower Silesia. The company launched seven development starts totalling 110,000 square metres in the Czech Republic during 2016. In the same period, five new buildings were completed and ended the year 94-percent leased. Leasing activity in the Czech Republic totalled 435,000 square metres. Occupancy was 97.1 percent, outperforming the CEE rate of 96.4 percent. Customer retention was 98 percent. With its active engagement in four CEE countries and an operating portfolio totalling 4.5 million square metres, Prologis is the leading provider of distribution facilities in Central and Eastern Europe (as of 31 December 2016).